March 17, 2019—–During the earliest stage of modern humans the human species was struggling with the environment. They were just beginning to use stone tools. The size of the population was limited by the amount of wild food that could be gathered or caught. 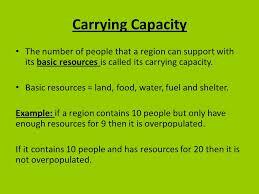 When food was scarce the population died back, and when it was plentiful the population expanded. Diseases due to technological advances began at an early time. Sinusitis is a disease that irritates the nose as a result of breathing damp, smoky, or dusty air, such as was often found in inhabited caves. Evidence of sinusitis has been detected in skulls dating well back into the paleolithic. Only limited numbers of human lives were lost from storms and other short lived events as the population was small and widely scattered. Overpopulation and turmoil leads to current migration patterns. 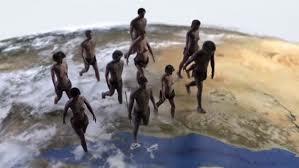 During the first 500,000 thousand years the population growth was slow. Birth rates were high, perhaps between 38 to 42 per thousand. The death rate was also very high, perhaps between 35 to38 per thousand. Evidence indicates that infant mortality was high and average life span was around 30 years. 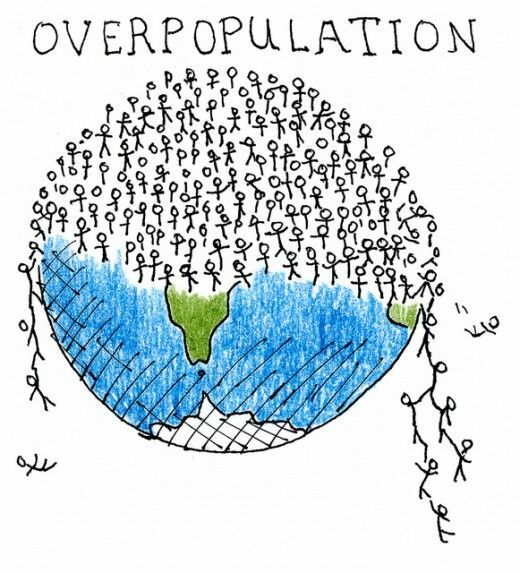 Does organized religion support overpopulation? The global population numbers began to grow and are now growing faster than at any time in history. 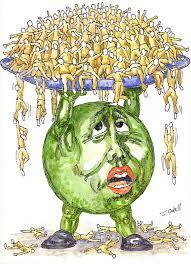 We are now adding about 224,000 people per day to the planet. This adds 82,000,000 people to the planet each year. That annual increase is the same as adding the population of the United States to the planet every three to four years. What is astonishing in the growth data is how fast the rate of growth has been increasing. It took hundreds of thousands of years for the first billion to be reached in about 1800. The time it has taken for adding each billion has dropped rapidly. The last billion was added in just 12 years from 1999 to 2011. At the beginning of 2019 global population stood at about seven billion. The key element in driving population growth is changing technology which has increased the global food supply. The human population reached its highest annual growth rate of about 2 percent per year, in the early 1970s. The growth rate in 2018 was around 1.1 percent. While the rate has dropped the absolute number of humans added to the planet each year continues to be greater than in the past. In mid-2019 the total population is estimated to reach about 7.7 billion. Today the fastest-growing countries are the developing countries. Many of the nations with the highest growth rates are in Africa and southwest Asia. China has the largest population of any country. However, India, which has a smaller population than China but has a higher growth rate, is adding 1/3 more people each year than is China. The UN projects India to surpass China as the most populous country in the world about the year 2028. At that time both countries will have a population of about 1.45 billion. China’s population will begin to stabilize near that time and India’ will continue to grow for some time. Most of the growth will be in developing countries with more than half in Africa. Population in Sub-Saharan Africa is projected to double from the 2010 population of 0.86 to 1.96 billion in 2050. With climate change will there be enough resources for all? The next billion people added to the earth will want and expect food, clothing, shelter, and some means of employment. How are these needs to be met? There are already a billion people with some degree of malnutrition. Most of the population supports themselves from agriculture. All good and even marginal land is already occupied, and much productive land is being removed from agriculture due to erosion and general depletion. How are these agriculturists going to find employment? These are critical issues. The momentum for an increasing population seems to be difficult to change. Global business thrives on population growth. It seems the options are limited. Either the human species understands what is taking place and mandates a change, or these trends will continue until some unpredictable apocalypse eliminates a substantial portion of the people living at the time. Categories: Climate Change, Mass extinction, migration, Pollution, Population, Poverty | Tags: #climatechange, Co2 and Global Warming, Population, Population growth, World population | Permalink.